"Ms. Grzanna bridges between the glorious days of Broadway, Hollywood, New Orleans, and the steamy fever of contemporary music. She is powerful, yet emanates warmth and depth. She is overwhelmingly creative, yet loyal to the majesty and traditional values of the great music of the golden era. This woman is a national treasure." "One of the hottest divas in the business." She’s chic, gorgeous and immensely talented. 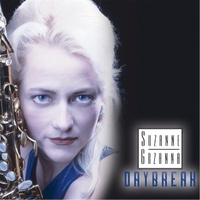 Suzanne Grzanna’s latest offering, “DAYbreak”, is a musical potpourri that is sure to please most jazz aficionados. A superb sax player, an already highly nuanced vocalist and a promising composer, Suzanne is a triple threat who may very well be one of the key figures in defining the direction jazz will be heading in the 21st century. There’s a ton of variety on “DAYbreak”, everything from the stunning opening arrangement of Little Willie John’s “Fever” to the sassy smart instrumental of “Daybreak”, the unsentimental poppy sweetness of “It Had To Be You”, not to mention the balls out straight ahead hipness of “Mercy, Mercy, Mercy” and the tour de force swing, “Almost Like Being In Love”. Spread the word, there’s a new lady in town: Suzanne Grzanna’s, and she’s bringing her ‘A’ game to the area of music called Jazz and Swing. And what a refreshing brew it is. What I love about this CD is the variety on offer. Ms. Grzanna really shines in this album of jazz standards and instrumentals. Her voice is clear but atmospherically it’s all smoke and velvet. Her saxaphone playing is great – smooth and jazzy. I love her voice, but for me the real stars on this album are the instrumentals, Daybreak and Black Orpheus. That said, I would really love to see her perform live. How fun would it be to see a singer sing like this and then pull out a saxophone! There are so many top-notch features in this record! First, the vocals are outstanding; ‘Boogie Nights’, ‘Living your dream’ are superb among the others! The feel is great on ‘Cantaloupe Island’ with some amazing sax and piano playing, while the accents are so riveting on ‘Spring Waltz’. My highlight is the brilliant arrangement and the bass walking on the adlib uptempo part of the title track ‘SIMPLY SUNDAY’. Suzanne Grzanna is a truly amazing force of musical nature - A composer, singer, saxophonist, writer and producer who does all of these diverse activities with great skill and grace ! I just love the warmth and depth of this recording - the richness of the bass and drums, the wonderful tone of the sax and of course Suzanne's gorgeous evocative voice. I can't say I've ever heard a saxophonist who sings anywhere near as well as Suzanne ! It is truly amazing and so very rare. Go see her live if you get the chance and if not, this recording will do an admirable job of conveying the Suzanne Grzanna experience. What does one call an album that combines two superlative talents of a single person? Magic! "Simply Sunday"- as the name suggests is for that laid-back day when one just lets go and lets the music take you! The command that Grzanna has over the saxophone is phenomenal. I loved the heavy tones of the opening piano notes in "Spring Waltz", added a very dignified touch, much like the graceful dance form. 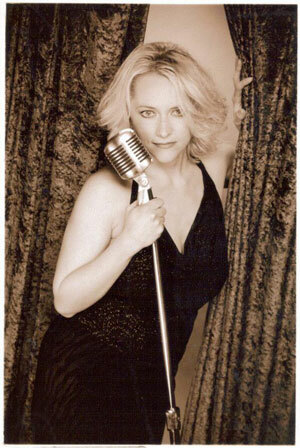 "My Valentine" has Grzanna enchanting with her vocal prowess....ah the voice! :-) "Boogie Nights" is naughty,but nice! Fantastic vocals and saxophone improvisations. "Love You" is a beautiful romantic song with its unhurried pace and alluring melody. Loved this song :-) "Summer Dreams" has a Latin touch to it, Grzanna's scatting vocals are just superb. "Follow Your Heart" with its dreamy saxophone is a glorious composition, the delicate touches and flourishes of the saxophone again show just how gifted a performer Grzanna is :-) This album transported me to a different plane of existence with the stunning twin talents of Grzanna. Her music is superior and supremely satisfying. Downright decadent with its luxurious arrangements, Suzanne Grzanna’s “Daybreak” is a true delight. With a late-night vibe to it, the way that the sultry vocals sing out is simply stunning. Everything works from the careful saxophone work to the nimble groove that adorn the pieces. The balance that the band strikes is wonderful as they opt for a cool lounge style, one that they seem to understand wholly and fully. A light touch is employed throughout the album resulting in some rather fine flourishes. Serving as the heart and soul of the album are Suzanne Grzanna’s vocals which adorn many, though not all, of the pieces. “Fever” begins the album off on a seductive note. Minimal in nature everything shimmers brightly from the soft keyboards to the tactile bass work. The spry “Daybreak” is imbued with a strong sense of hope as the piano’s passion is undeniable, as it the tender saxophone work. On “It Had To Be You” offers up a flirtatious spirit as the song has a slight swinging rhythm to it. A funky soulful vibe informs the leisurely pace of “Mercy, Mercy, Mercy”. Jaunty in spirit is the album highlight, the hot heat of “Almost Like Being In Love”. Rather spirited, the performance is perfect with the band truly engaging in a fantastic form of gropu interplay. With “Black Orpheus” Suzanne Grzanna ends the album off on a graceful note. 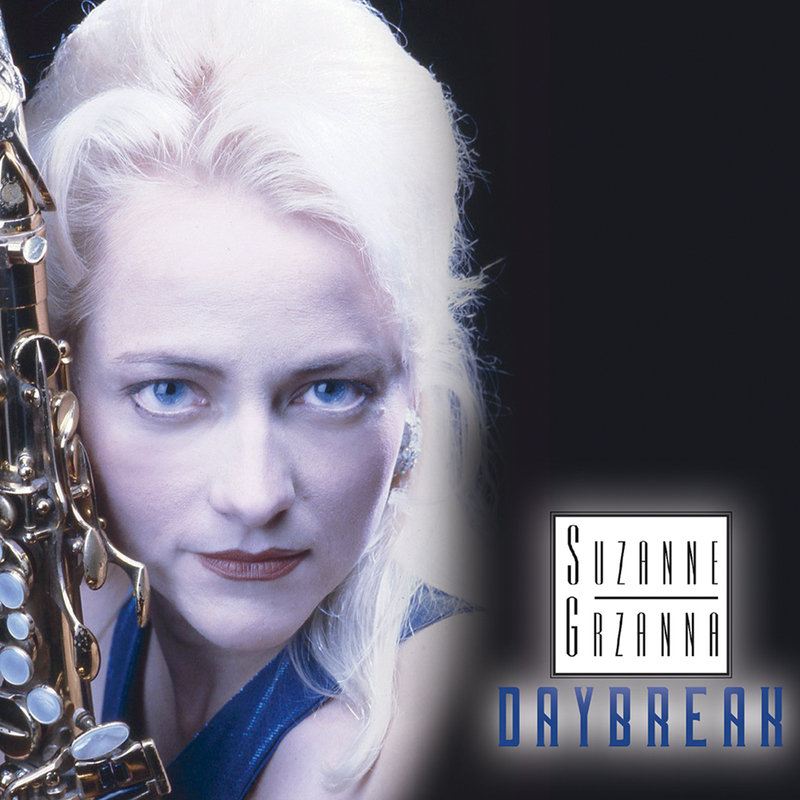 With a timeless classic sound, Suzanne Grzanna’s “Daybreak” is a flawless perfectly executed album, one that truly touches the heart.